Solitons are common in the natural world. Your pulse is a soliton, and soliton theory may also explain the behavior of tsunamis. When your heart beats, blood courses through your arteries in waves of pressure. These pressure waves manifest as your pulse, a regular rhythm unperturbed by the complex internal structure of the body. Scientists call such robust waves solitons, and in many ways they behave more like discrete particles than waves. Soliton theory may aid in the understanding of tsunamis, which -- unlike other water waves -- can sustain themselves over vast oceanic distances. Solitons can arise in the quantum world as well. At most temperatures, gas atoms bounce around like billiard balls, colliding with each other and rocketing off into random directions, following the rules of classical physics. Near absolute zero, however, certain kinds of atoms suddenly start behaving according to the very different rules of quantum mechanics, and begin a kind of coordinated dance. Under pristine conditions, solitons can emerge inside these ultracold quantum fluids, surviving for several seconds. 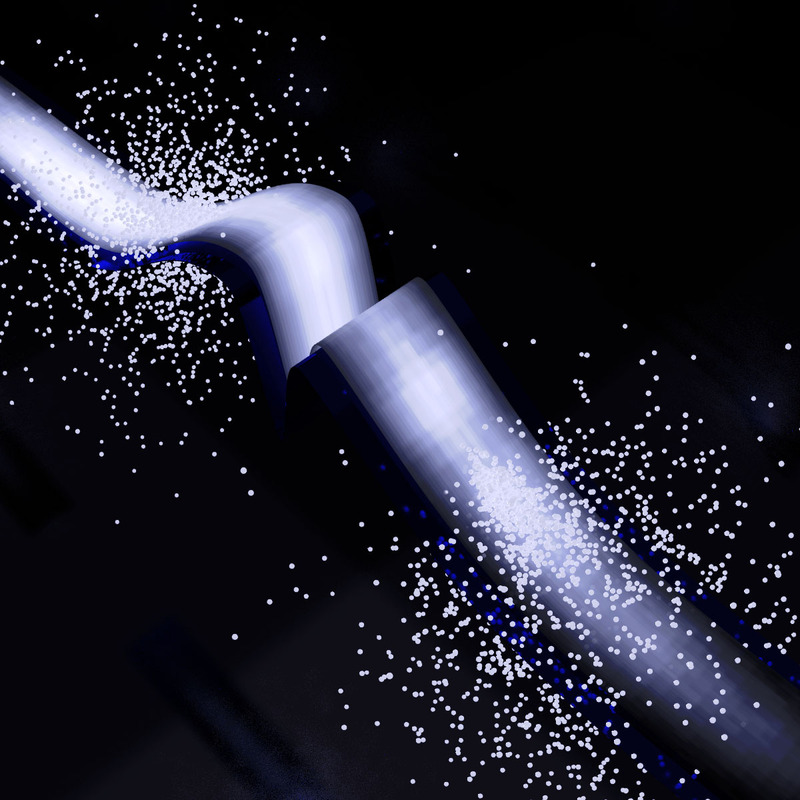 Curious about how solitons behave in less than pristine conditions, scientists at NIST’s Physical Measurement Laboratory, in collaboration with researchers at the Joint Quantum Institute (JQI), have added some stress to a soliton’s life. They began by cooling down a cloud of rubidium atoms. Right before the gas could take on uniform properties and become a homogenous quantum fluid, a radio-frequency magnetic field coaxed a handful of these atoms into retaining their classical, billiard ball-like state. Those atoms are, in effect, “impurities” in the atomic mix. The scientists then used laser light to push apart atoms in one region of the fluid, creating a solitary wave of low density -- a “dark” soliton. Artist's impression of a dark soliton, the dip in the center, surrounded by clouds of white impurity atoms. This behavior made sense only after researchers changed their mathematical perspective and remembered to treat the soliton as though it has a negative mass. This is a quirky phenomenon that arises for certain collective behaviors of many-particle systems. Here the negative mass is manifested by the soliton’s darkness—it is a dip in the quantum fluid rather than a tall tsunami-like pulse. Particles with negative mass respond to friction forces opposite to their ordinary cousins, speeding up instead of slowing down.